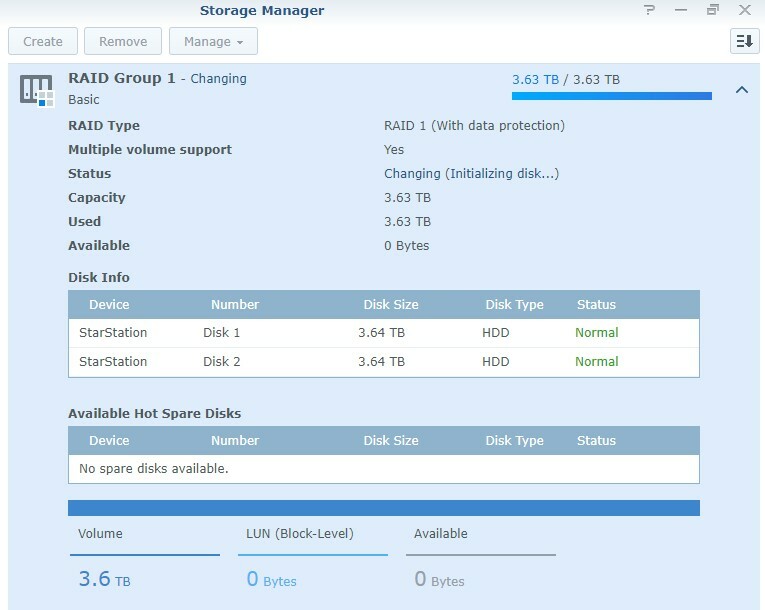 DSM 6.1 raid function is work or not ? however, this N54L server running almost 4 days, i still got this raid changing info screen. Q3) If I remove the Disk 2, can i have all my data back ? maybe i backup my existing 4TB data in the basic mode HD, and fresh build a Raid 5 volume. do you still see disk acrivity? finally, i hotplug the HD 2 & 3 (newly added) and end the changing process, Lucky me, i got my data back !